From private, public, and hybrid clouds to traditional and modern application architectures, today’s modern data center is complex. To effectively manage the evolving topology, IT needs a unified approach to management, with intelligent, cost-effective tools – which is just what an enterprise-ready cloud management platform (CMP) provides. CMP enables IT teams to automate provisioning as well as manage applications throughout their lifecycle with a single platform. 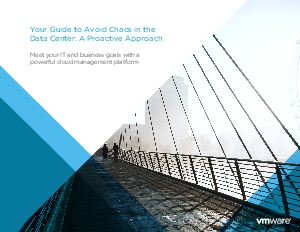 Read this eGuide to learn more about how to avoid chaos in the data center with a unified cloud management platform.